Oh my goodness, another recipe with crab in it? Yes! Yes! Yes! We are so fortunate to have an abundance of fresh caught crab, that Bake cleans, cooks and (bonus) takes the meat out. 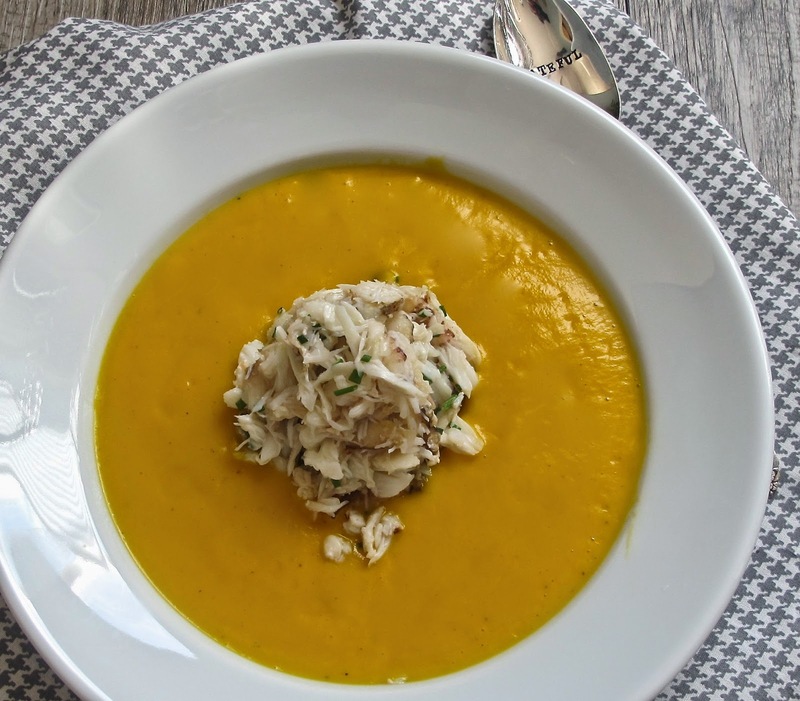 This carrot soup make a pretty presentation, with a stack of crab in the middle of the bowl and carrot soup ladled around it. In a large pot over medium heat, combine olive oil and butter. Add onion and cook until softened. Add carrots to the pot, stir in salt and pepper; and stock. Bring to a boil and then reduce heat to simmer. Cook until carrots are soft, about 20-30 minutes. Remove from heat and stir in lemon zest, and jalapeno (if using). Pour soup into blender and puree. Combine the crab, chives, and lemon juice. Mold into a cup and center it in the soup bowl. Ladle carrot soup around the center and serve.